Hakone and Odawara have become on of the most popular destinations in Japan for vistitors. There are hot springs, castles, views of the mountain and sea, traditional experiences, and historical sites to explore in the area. Most visitors to Hakone use Odawara Station as their transit point for their visit to Hakone and the surrounding areas. Just a few hours in Odawara allow you to explore traditional shops, visit the majestic castle, and try the local beer. 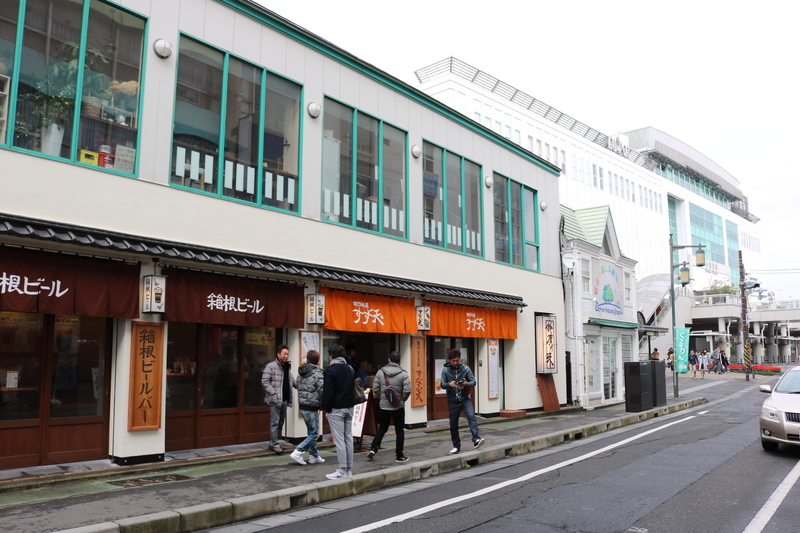 Opened just this year, the Hakone Beer shop just steps from the station give you a convenient and easy chance o explore the tastes of the area. 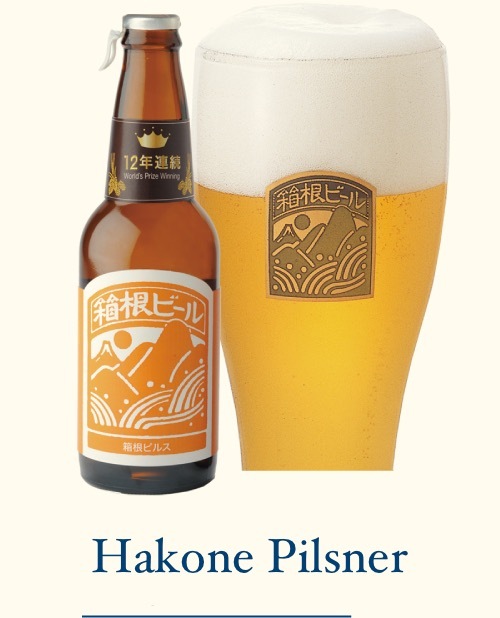 Hakone Beer is an award winning Japanese brew that has been perfected and refined over the past 20 years. Past acknowledgements have included winning multiple awards at the Japanese Beer Festival, International Beer Cup, Asian Beer Contest, and more. There are usually two main beers and seasonal brews on tap at this warm and inviting shop. A golden Pilsner and a rich Ale welcome you, but there are also some woderful seasonal tastes to explore. In spring, discover the flavors of fresh hops with the Harumeki Pale Ale. 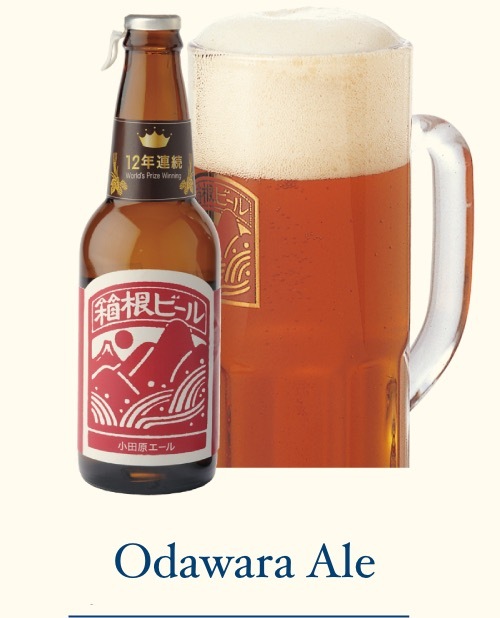 Summer brings the smooth and refreshing tastes of the Ashigara Weizen. Fall has classic Koyurugi Brown, a rich beer with a malty and sweet aroma. 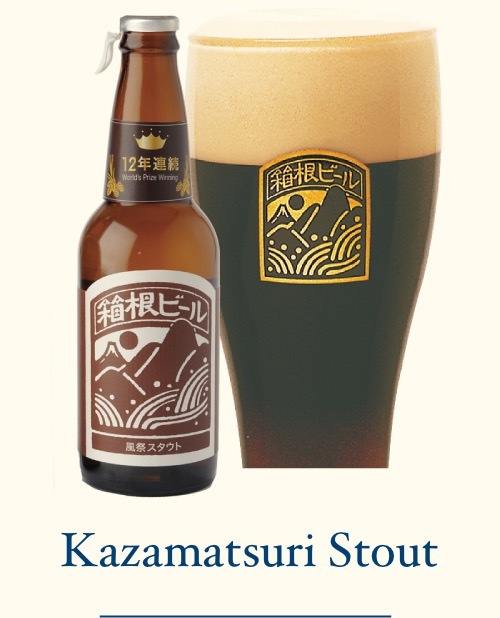 And winter has the warming roasted malt flavors of Kazamatsuri Stout. In addition to these seasonal treats, Hakone Beer releases wonderful brews that challenge and entertain our tastebuds. Past creations have included Green Tea, Citrus, Strawberry, and many more. The Hakone Beer shop also has a local food to pair with your exploration of Japanese beer. Takoyaki is a popular Japanese snack consisting of pieces of octopus wrapped in ground fresh fish and grilled. The takoyaki has a different delicious textures and tastes that are popular with locals. The takoyaki can also be topped with different sauces to make your own unique snack. One of Hakone Beer`s reasons for development was that there was a lack of domestic beers brewed to compliment and enhance the deep subtle flavors of Japanese food, washoku. 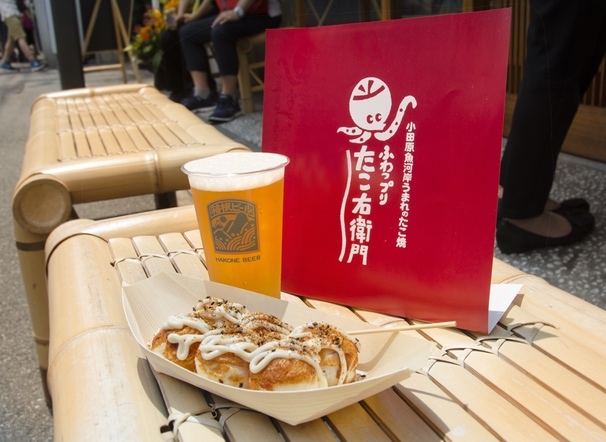 Take the time to visit the beer stand in front of Odawara Station have a wonderful culinary experience during your time in Japan. Since 1865 we have continued the tradition and craftsmanship of making excellent Kamaboko. We now have a number of products and stories about local food, fresh products, sustainability, and much more to share with the world.